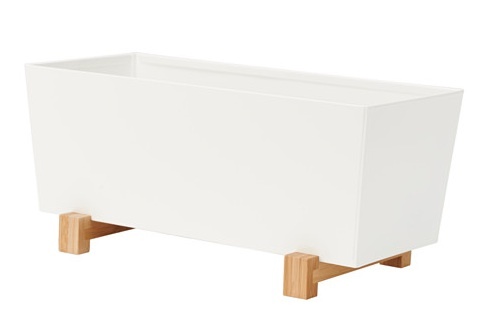 So I bought 2 of these cute little Bittergurka planters at IKEA for $9.99 each the other day in hopes of starting a little herb garden. And on the way home we stopped for dinner and it hit me! This cute little container could be used for so many different things… and I quickly came up with 9 pretty clever ideas right away. Makes me want to go back for more! AND as a bonus , each idea requires minimal to NO altering whatsoever (how amazing is that?). 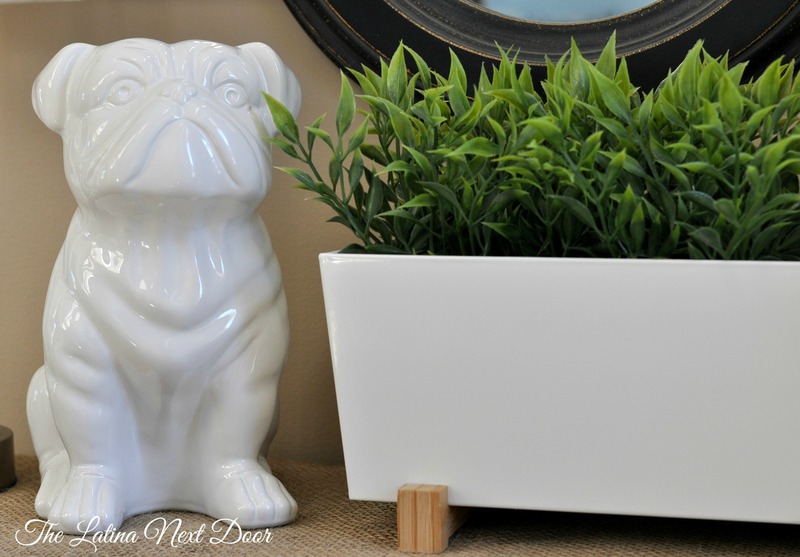 Planter – This one is pretty obvious, but I had to share it since there are so many possibilities even if you use it as a planter. You can add faux plants like the ones below (if you want something temporary), use real plants, make an herb garden or even add flowers to add a pop of color to any space. Love it!!!! Meet Oliver everyone! Isn’t he cute? 2. 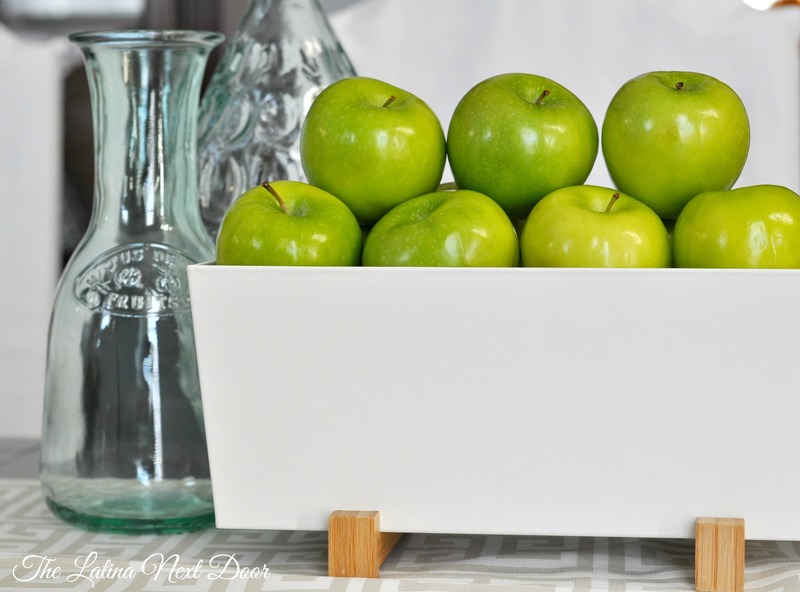 Fruit Basket – Add fresh apples, oranges, or lemons and you have a beautiful centerpiece on a table or counter-top. Those apples look so good, don’t they? 3. 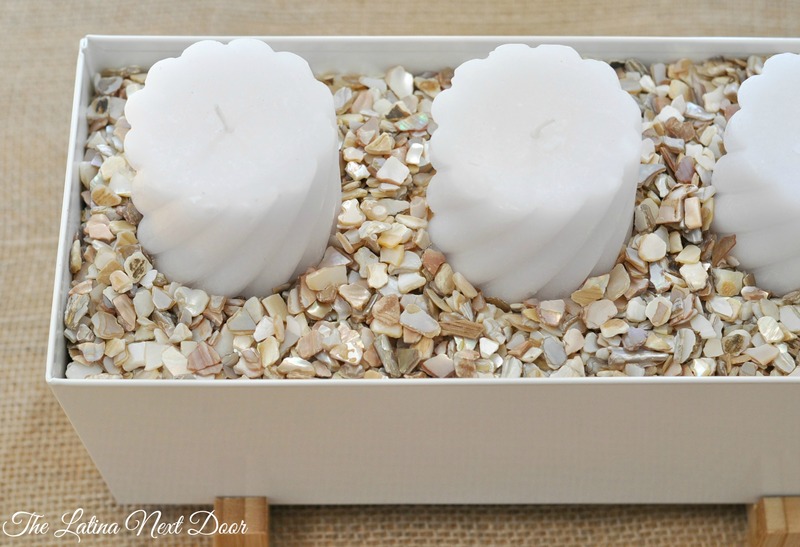 Candle Centerpiece – Add 3 large candles along with some crushed shells or river rocks and create some ambiance. 4. 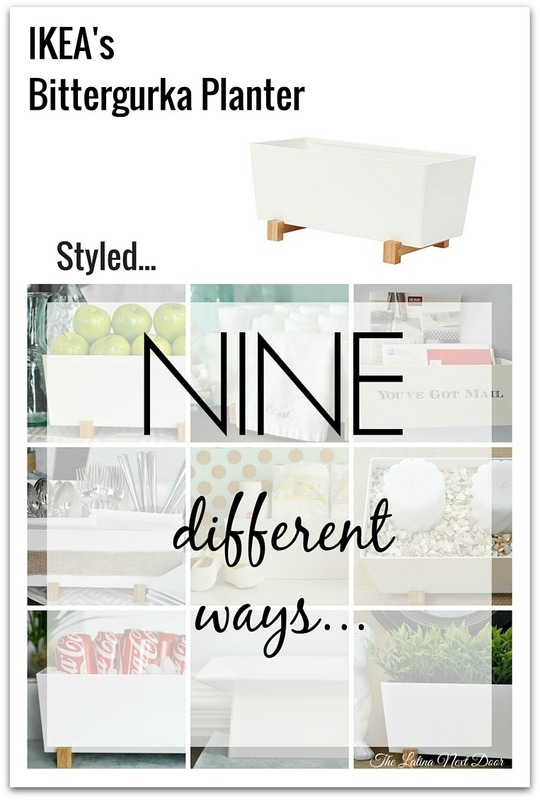 Mailbox – Who says you have to put it on a table? Set the wooden legs aside since you won’t need them for this. Drill 2 holes on either end of the back and hang on your wall. 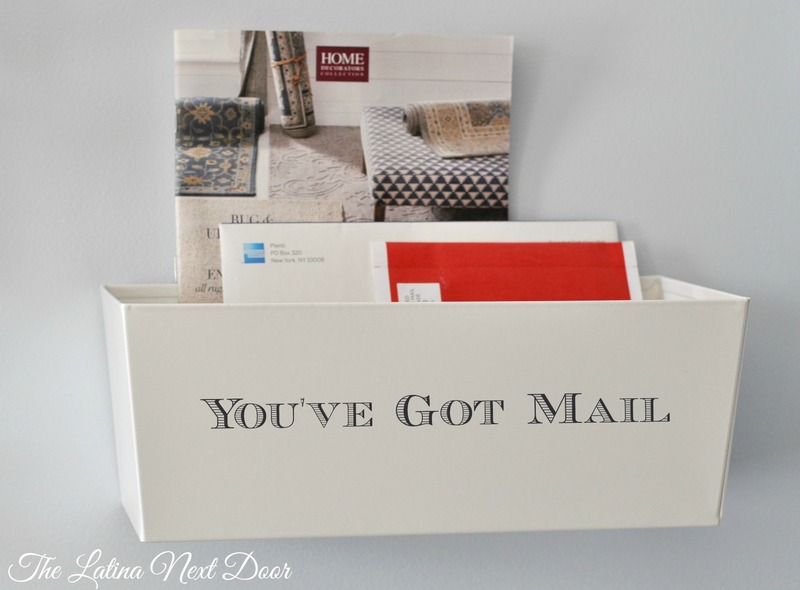 Put a cute decal on it and now you have a place to drop your incoming (or outgoing) mail. 5. 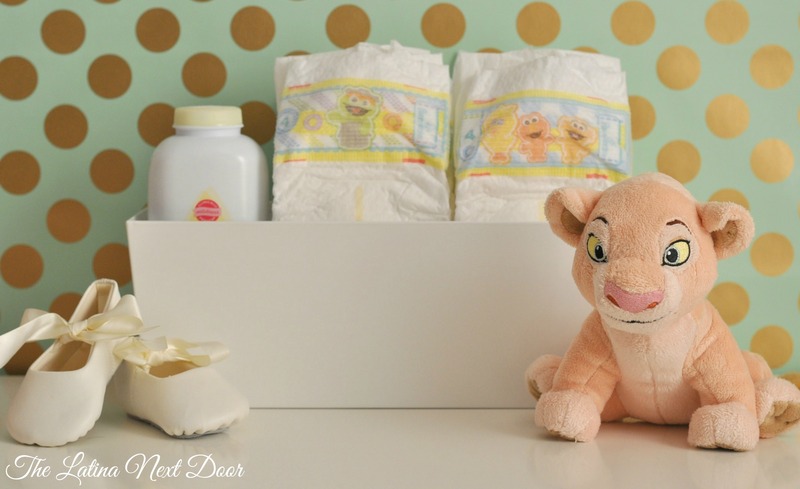 Diaper Station – Maybe you have a contemporary nursery with sleek lines or don’t care too much for baskets??? You can totally use this to hold your diapers, diaper rash cremes or baby toiletries etc. Use it with or without the wooden legs for the look you want. Eeek, so cute! 6. 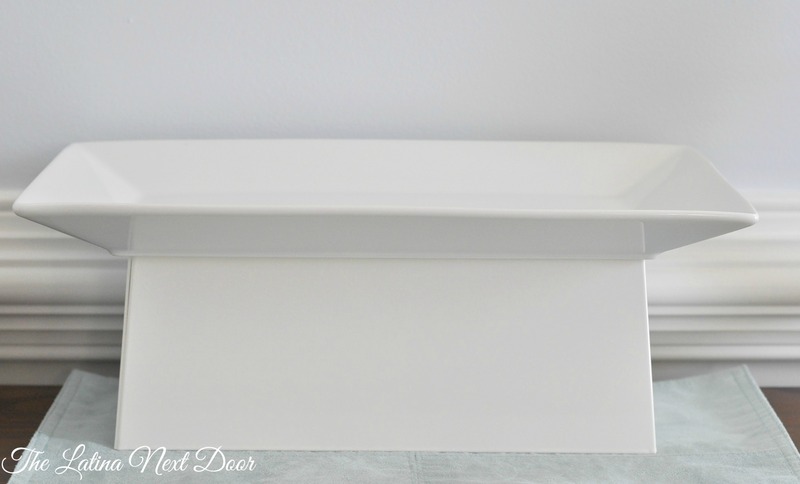 Towel Holder – This might be my favorite. 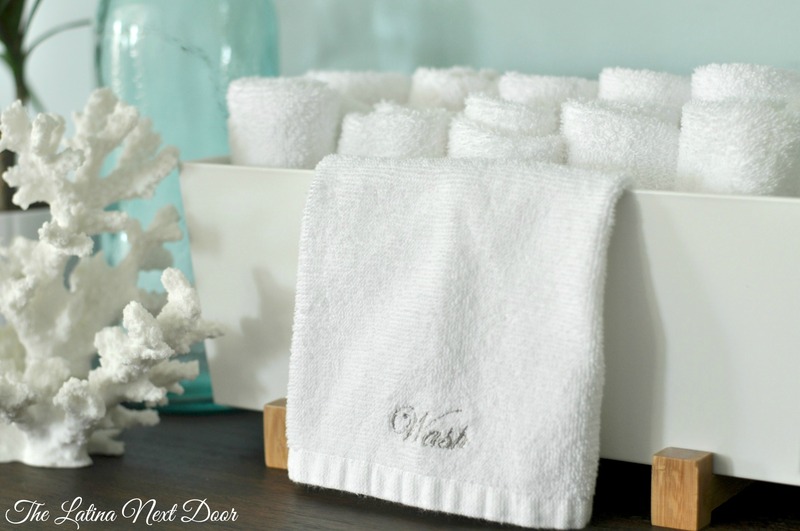 Roll up hand towels and place them in your bathroom or a guest bath. The wooden legs make it feel “spa-ish” and hanging a little towel over the front really makes it seem like that’s what it’s meant to be used for. 7. Cooler – Having a small party or get-together? 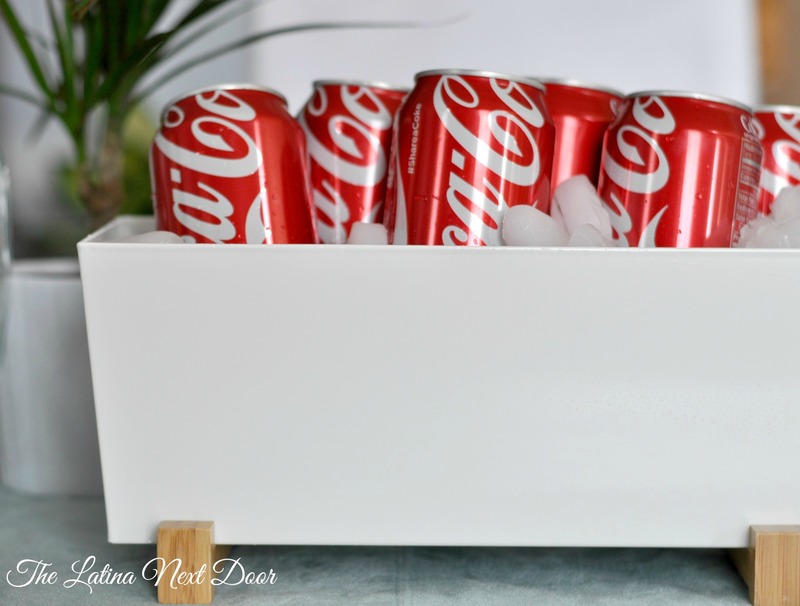 Place your soda cans (or favorite refreshments) and fill with ice! Instant adorable cooler! 8. Speaking of parties…. Utensil Station is another cute idea. Grab 3 mason jars or containers of your chose and fill them up with utensils. 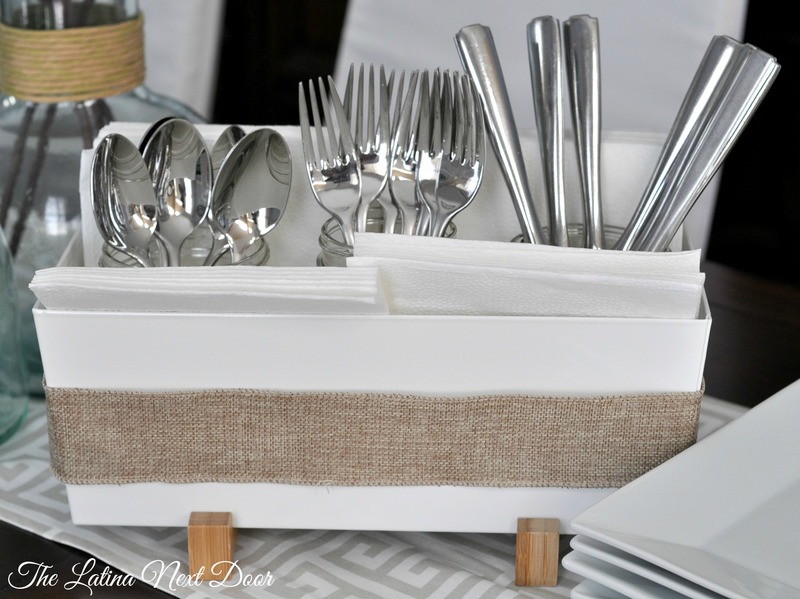 You can place your napkins inside as well and you have yourself a little utensil station. Don’t forget to add a ribbon to match your occasion and make it more festive! 9. Lastly (and one more party theme) – It could be used as a Stand. 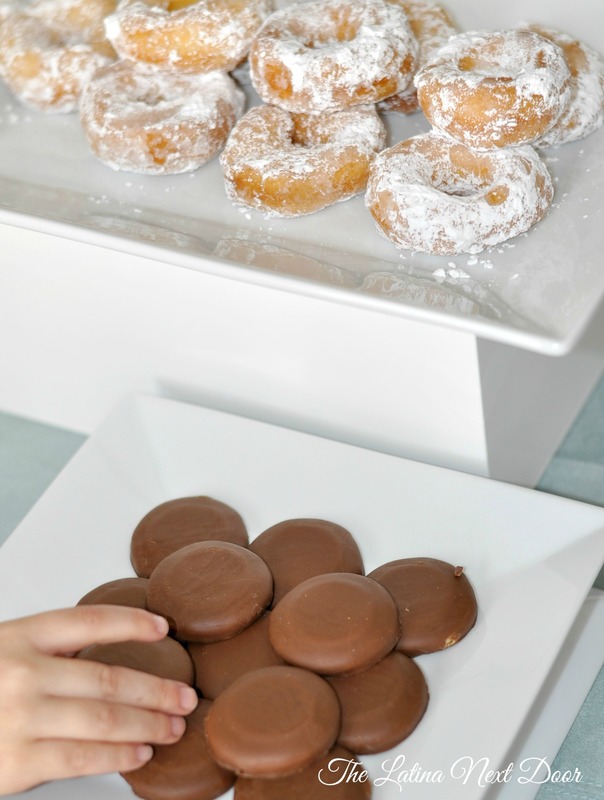 Sometimes when you have a buffet spread and need to add different levels to make the presentation prettier or use up space more efficiently just turn that sucker upside down and place your tray on top! How easy is that? It worked so well this way and it was very sturdy. Perfect for a buffet… and I have PROOF! Cause apparently my daughter was getting hungry while I was taking pictures and she couldn’t wait…. So, there you have it! 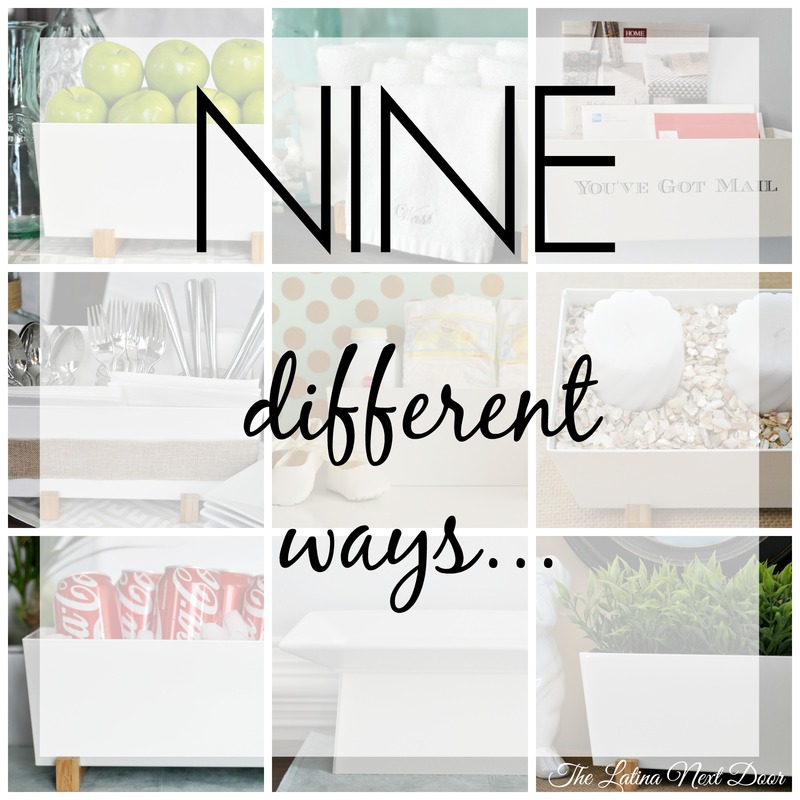 9 different possibilities out of one $9.99 item from IKEA (don’t ya love that place?) This is such a simple piece too! I hope I inspired you to think outside the box (HA! See what I did there?) next time you go to IKEA or any place for that matter! I totally had fun coming up with these and I am sure you all can think of more awesome ways to use the Bittergurka planter. I would love to hear what you would do with it! I would also like to know which one of my ideas was your favorite? Do tell! 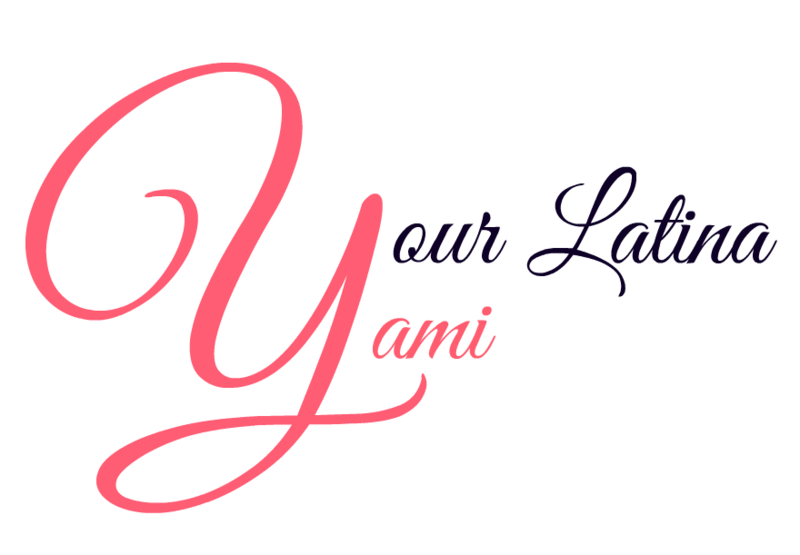 If you like this post, don’t forget to subscribe and follow me on social media so that you don’t miss this or any other cool stuff I come up with and share on my blog! I think these are all really great ideas! Thanks for the inspiration! Thank you so much Rae! I appreciate your feedback!